The Minnesota Multiphasic Personality Inventory (MMPI) is the most widely used and researched clinical assessment tool used by mental health professionals to help diagnose mental health disorders. Originally developed in the late 1930s, the test has been revised and updated several times to improve accuracy and validity. 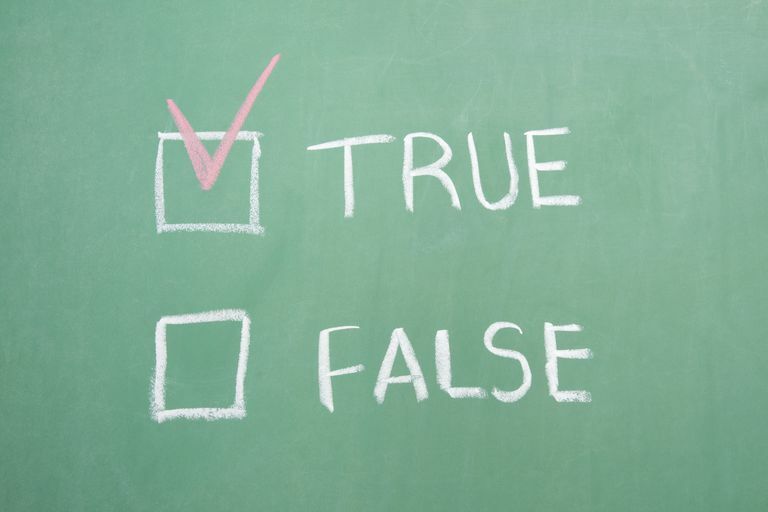 The MMPI-2 consists of 567 true-false questions and takes approximately 60 to 90 minutes to complete, while the MMPI-2-RF has 338 true-false questions, taking 35 to 50 minutes to finish. The Minnesota Multiphasic Personality Inventory (MMPI) was developed in 1937 by clinical psychologist Starke R. Hathaway and neuropsychiatrist J. Charnley McKinley at the University of Minnesota. Today, it's the most frequently used clinical testing instrument and is one of the most researched psychological tests in existence. While the MMPI is not a perfect test, it remains a valuable tool in the diagnosis and treatment of mental illness. The MMPI is most commonly used by mental health professionals to assess and diagnose mental illness, but it has been utilized in other fields outside of clinical psychology. The MMPI-2 is often used in legal cases, including criminal defense and custody disputes. The test has also been used as a screening instrument for certain professions, especially high-risk jobs, although using it in this manner has been controversial. It's also used to evaluate the effectiveness of treatment programs, including substance abuse programs. In the years after the test was first published, clinicians and researchers began to question the accuracy of the MMPI. Critics pointed out that the original sample group was inadequate. Others argued that the results indicated possible test bias, while others felt the test itself contained sexist and racist questions. In response to these issues, the MMPI underwent a revision in the late 1980s. Many questions were removed or reworded while a number of new questions were added. Additionally, new validity scales were incorporated in the revised test. The revised edition of the test was released in 1989 as the MMPI-2. The test received revision again in 2001 and updates in 2003 and 2009, and it's still in use today as the most frequently used clinical assessment test. The most recent edition of the test, published in 2008, is known as the Minnesota Multiphasic Personality Inventory-2-Restructured Form (MMPI-2-RF), an alternative to the MMPI-2. However, the MMPI-2 is still used more often than the MMPI-2-RF. There is also an MMPI, published in 1992, that's geared toward adolescents aged 14 to 18 years old called the MMPI-A. With 478 questions, it takes about an hour to complete. In 2016, the Minnesota Multiphasic Personality Inventory-Adolescent-Restructured Form (MMPI-A-RF) was published. Like the MMPI-2-RF, it's shorter, with just 241 questions that take 25 to 45 minutes to answer. The MMPI-2 contains 567 test items and takes approximately 60 to 90 minutes to complete. The MMPI-2-RF contains 338 questions and takes around 35 to 50 minutes to finish. Because the MMPI is copyrighted by the University of Minnesota, clinicians must pay to administer and utilize the test. The MMPI should be administered, scored, and interpreted by a professional, preferably a clinical psychologist or psychiatrist, who has received special training in MMPI use. This test should be used with other assessment tools as well. A diagnosis should never be made solely on the results of the MMPI. The MMPI can be administered individually or in groups and computerized versions are available as well. Both the MMPI-2 and the MMPI-2-RF are designed for individuals age 18 years and older. The test can be scored by hand or by a computer, but the results should always be interpreted by a qualified mental health professional that has had extensive training in MMPI interpretation. The MMPI-2 and MMPI-A have 10 clinical scales that are used to indicate different psychological conditions, though the MMPI-2-RF and the MMPI-A-RF use different scales. Despite the names given to each scale, they are not a pure measure since many conditions have overlapping symptoms. Because of this, most psychologists simply refer to each scale by number. Scale 1—Hypochondriasis: This scale was designed to assess a neurotic concern over bodily functioning. The items on this scale concern physical symptoms and well-being. It was originally developed to identify patients displaying the symptoms of hypochondria. Scale 2—Depression: This scale was originally designed to identify depression, characterized by poor morale, lack of hope in the future, and a general dissatisfaction with one's own life situation. Very high scores may indicate depression, while moderate scores tend to reveal a general dissatisfaction with one’s life. Scale 3—Hysteria: The third scale was originally designed to identify those who display hysteria or physical complaints in stressful situations. Those who are well-educated and of a high social class tend to score higher on this scale. Women also tend to score higher than men on this scale. Scale 4—Psychopathic deviate: Originally developed to identify psychopathic patients, this scale measures social deviation, lack of acceptance of authority, and amorality (a disregard for morality). This scale can be thought of as a measure of disobedience and antisocial behavior. High scorers tend to be more rebellious, while low scorers are more accepting of authority. Despite the name of this scale, high scorers are usually diagnosed with a personality disorder rather than a psychotic disorder. Scale 5—Masculinity-femininity: This scale was designed by the original authors to identify homosexual tendencies, but was found to be largely ineffective. It's intended to show how much or how little a person identifies with his or her gender's interests. Scale 6—Paranoia: This scale was originally developed to identify patients with paranoid symptoms such as suspiciousness, feelings of persecution, grandiose self-concepts, excessive sensitivity, and rigid attitudes. Those who score high on this scale tend to have paranoid or psychotic symptoms. Scale 7—Psychasthenia: This diagnostic label is no longer used today and the symptoms described on this scale are more reflective of anxiety, depression, and obsessive-compulsive disorder. This scale was originally used to measure excessive doubts, compulsions, obsessions, and unreasonable fears. Scale 8—Schizophrenia: This scale was originally developed to identify schizophrenic patients and reflects a wide variety of areas including bizarre thought processes and peculiar perceptions, social alienation, poor familial relationships, difficulties in concentration and impulse control, lack of deep interests, disturbing questions of self-worth and self-identity, and sexual difficulties. It may show potential substance abuse, emotional or social alienation, eccentricities, and a limited interest in other people. Scale 9—Hypomania: This scale was developed to identify characteristics of hypomania such as elevated mood, hallucinations, delusions of grandeur, accelerated speech and motor activity, irritability, flight of ideas, and brief periods of depression. Scale 0—Social introversion: This scale was developed later than the other nine scales. It's designed to assess a person’s shyness and tendency to withdraw from social contacts and responsibilities. All of the MMPI tests use validity scales of varying sorts to help assess the accuracy of each individual's answers. Since these tests can be used for circumstances like employment screenings and custody hearings, test takers may not be completely honest in their answers. Validity scales can show how accurate the test is, as well as to what degree answers may have been distorted. The L Scale: Also referred to as the lie scale, this "uncommon virtues" validity scale was developed to detect attempts by patients to present themselves in a favorable light. People who score high on this scale deliberately try to present themselves in the most positive way possible, rejecting shortcomings or unfavorable characteristics. The F Scale: This scale is used to detect attempts at overreporting. Essentially, people who score high on this scale are trying to appear worse than they really are, they may be in severe psychological distress, or they may be just randomly answering questions without paying attention to what the questions say. This scale asks questions designed to determine if test takers are contradicting themselves in their responses. The K Scale: Sometimes referred to as the “defensiveness scale,” this scale is a more effective and less obvious way of detecting attempts to present oneself in the best possible way by underreporting. People may underreport because they're worried about being judged or they may be minimizing their problems or denying that they have any problems at all. The ? Scale: Also known as the “cannot say” scale, this validity scale assesses the number of items left unanswered. The MMPI manual recommends that any test with 30 or more unanswered questions be declared invalid. TRIN Scale: The True Response Inconsistency Scale (TRIN) was developed to detect people who use fixed responding, a method of taking the test without regard to the question, such as marking ten questions "true," the next ten as "false," and so on. Fixed responding could be used due to not being able to read or comprehend the test material well or being defiant about having to take the test. This section consists of 20 paired questions that are the opposite of each other. VRIN Scale: The Variable Response Inconsistency Scale (VRIN) is another method developed to detect inconsistent, random responses. Like fixed responding, this can be intentional or it can be due to not understanding the material or not being able to read it. The Fb Scale: This scale is designed to show changes in how a person responded in the first half of the test versus how he or she responded in the second half by using questions that most normal respondents didn't support. High scores on this scale sometimes indicate that the respondent stopped paying attention and began answering questions randomly. It can also be due to over or underreporting, fixed responding, becoming tired, or being under severe stress. The Fp Scale: This scale helps detect intentional overreporting in people who have a mental health disorder of some sort or who were using random or fixed responding. The FBS Scale: The "symptom validity" scale is used for people who are taking the test because they're claiming that they had a personal injury or disability. This scale can help establish the credibility of the test taker. The S Scale: The "superlative self-presentation" scale was developed in 1995 to look for additional underreporting. It also has sub-scales that assess the test taker's belief in human goodness, serenity, contentment with life, patience/denial of irritability, and denial of moral flaws.